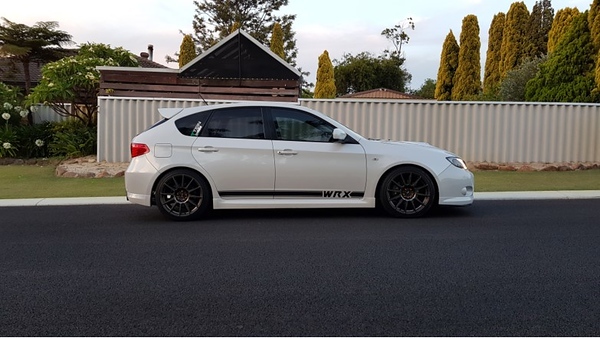 Suspensions: Tein S.tech springs mounted on KYB struts, it also has a Whiteline front strut brace and it will soon have a Whiteline rear swaybar. 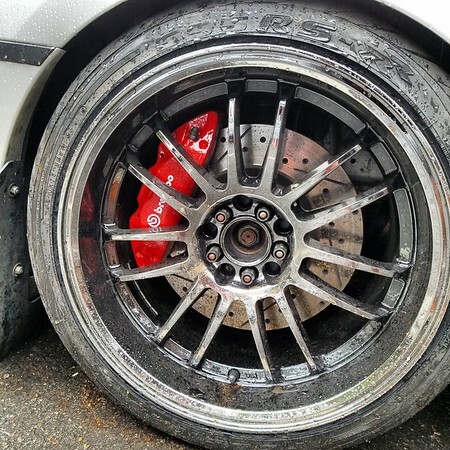 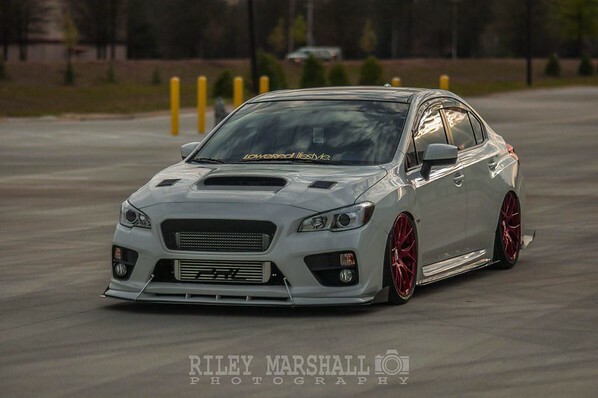 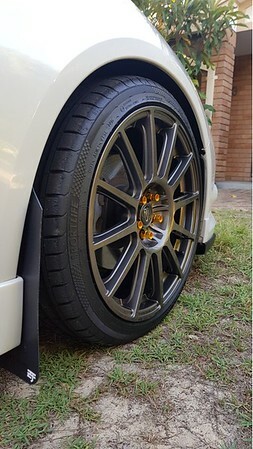 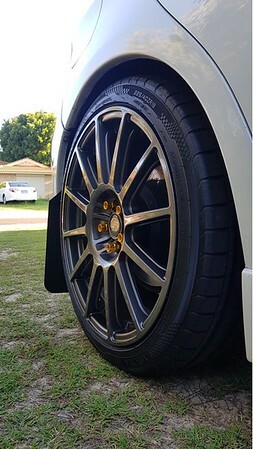 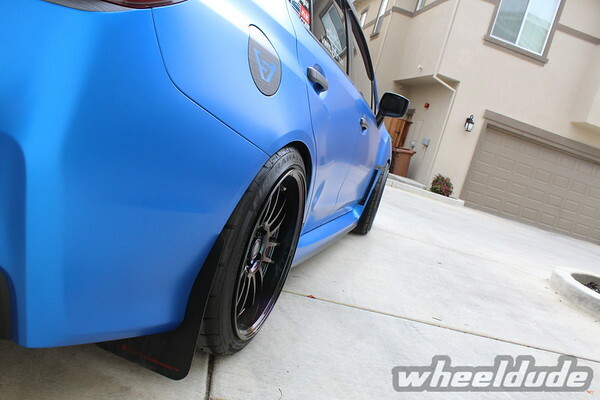 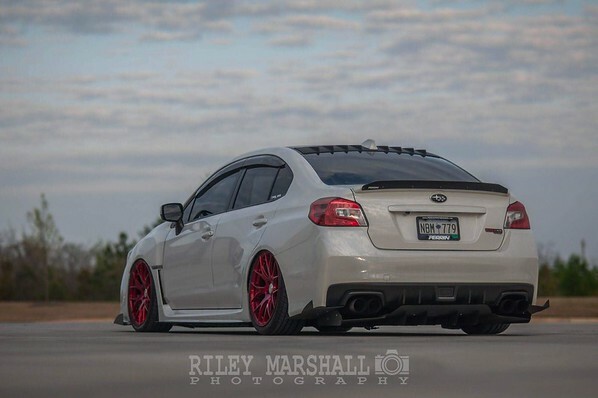 Fitment is flush all around with no fender modifications. 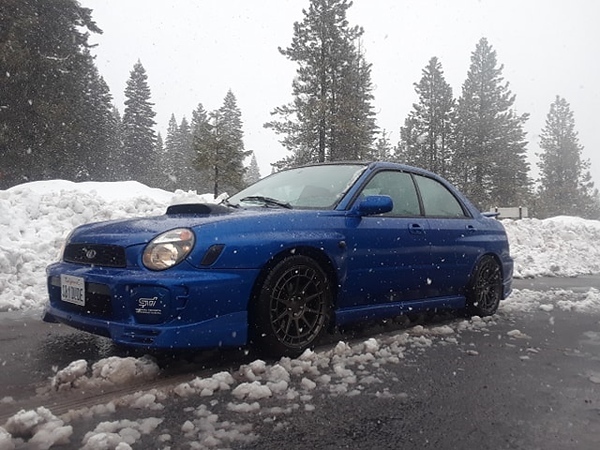 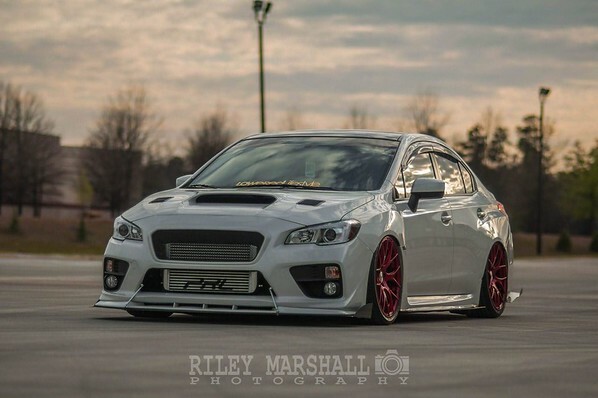 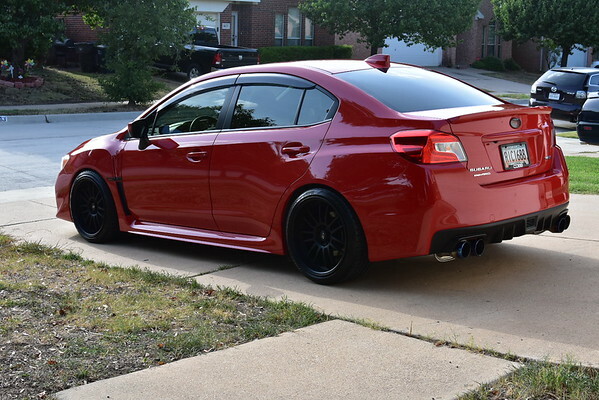 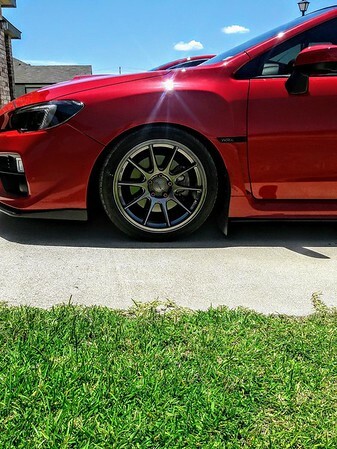 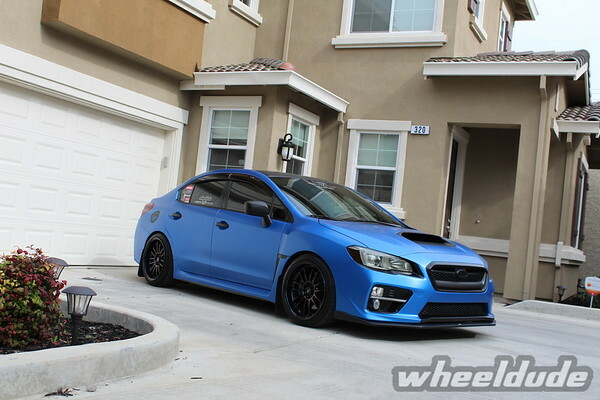 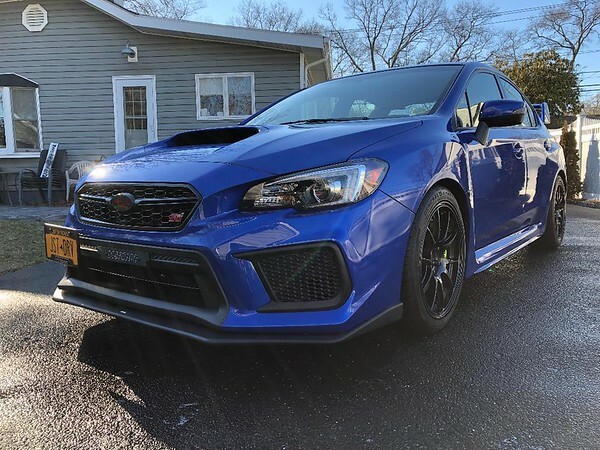 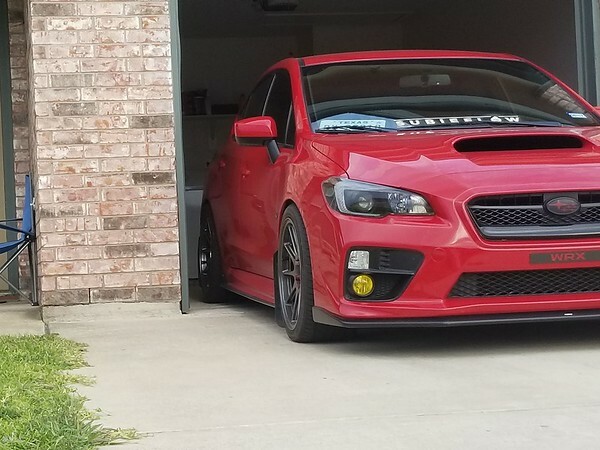 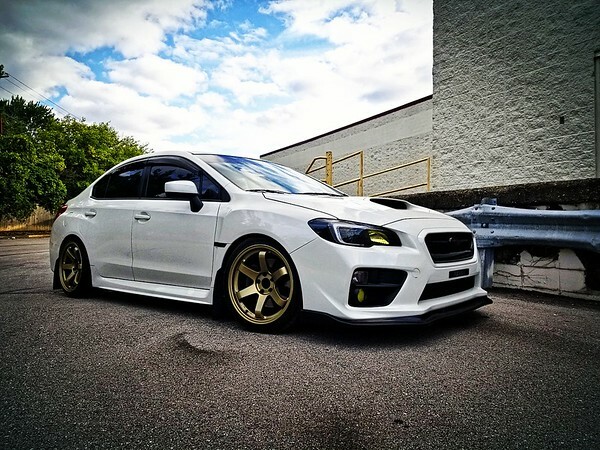 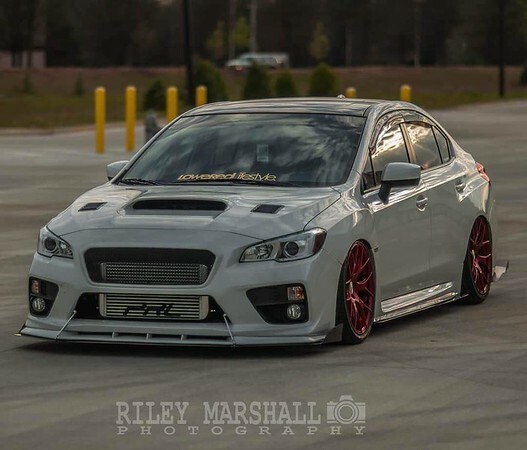 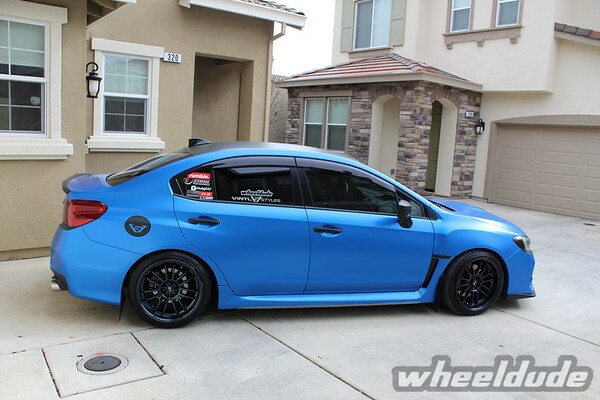 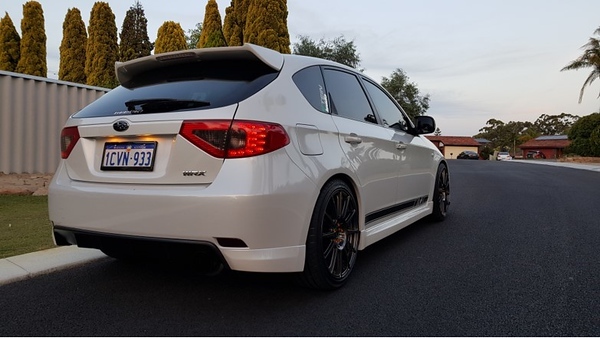 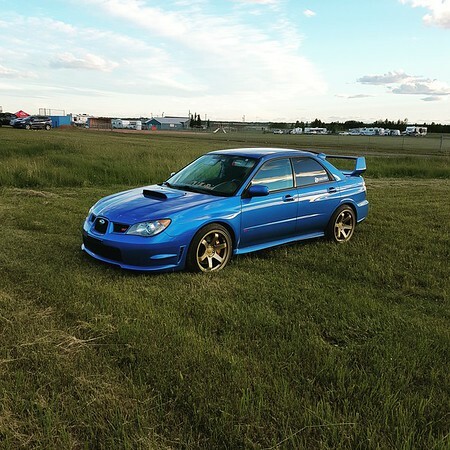 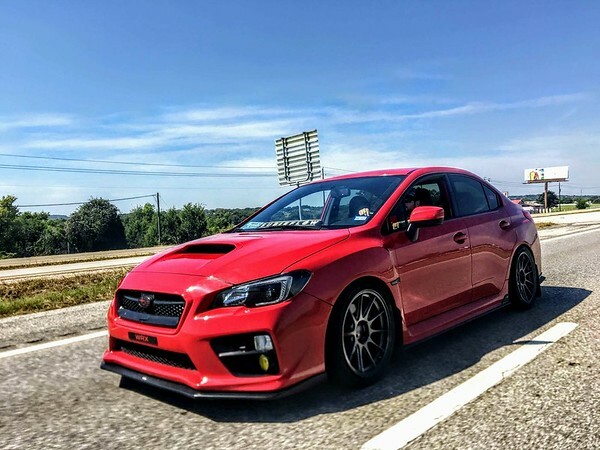 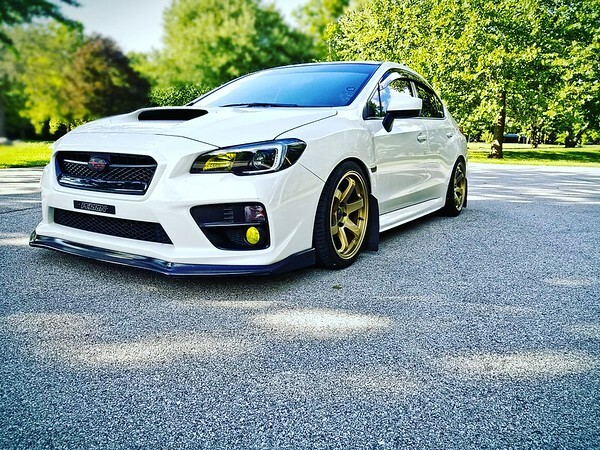 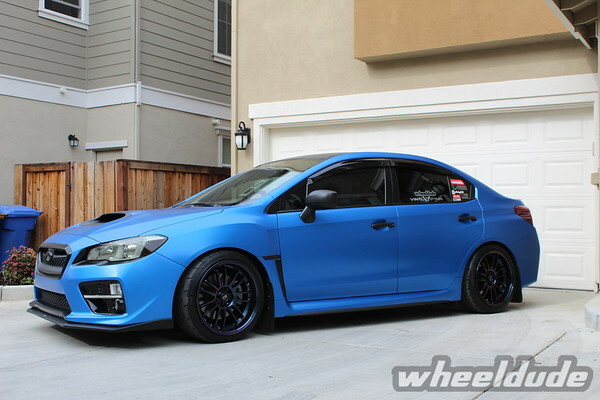 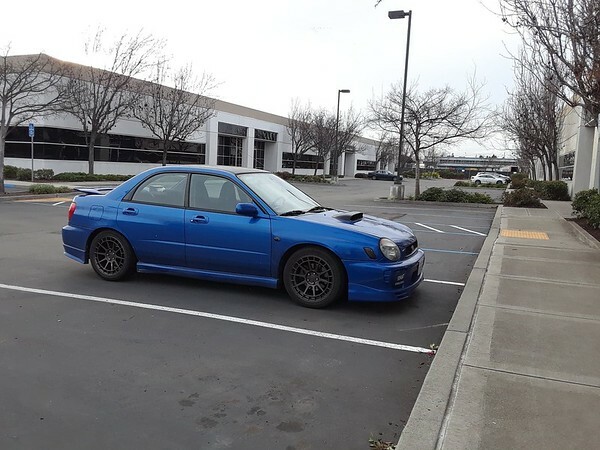 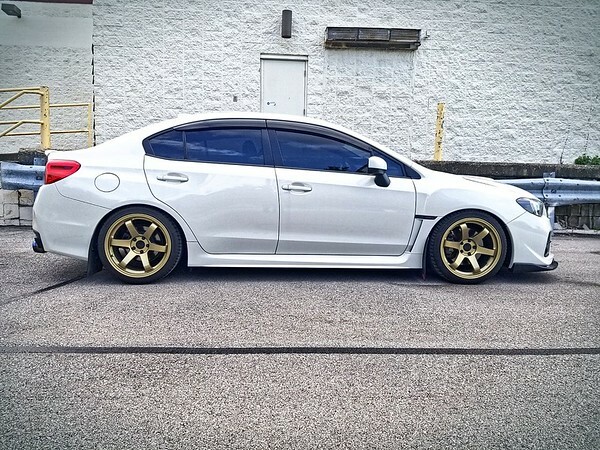 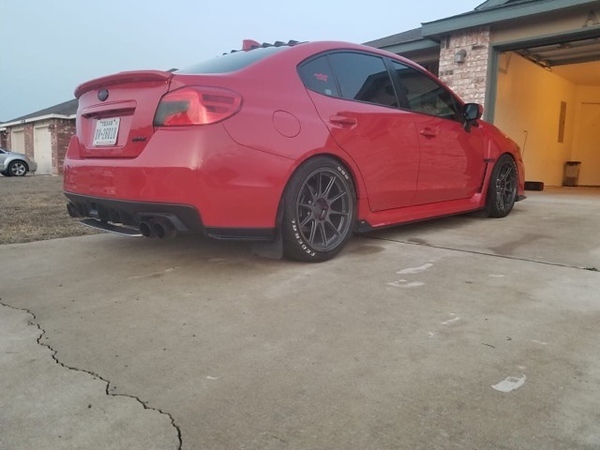 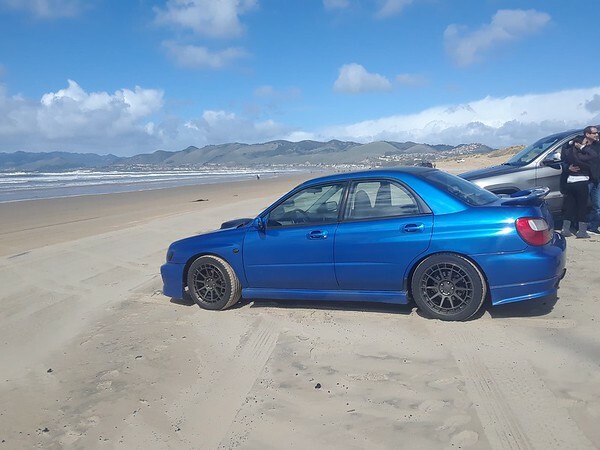 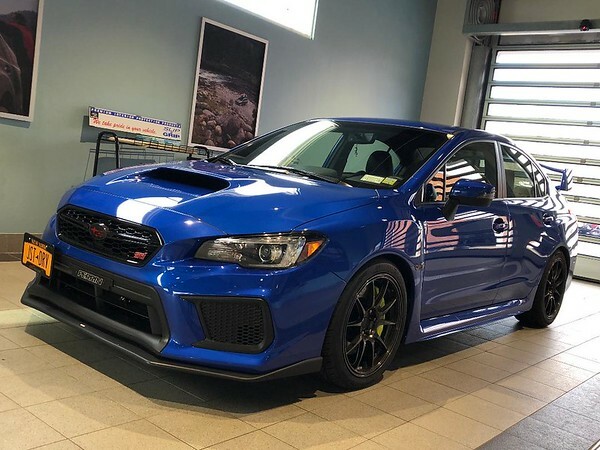 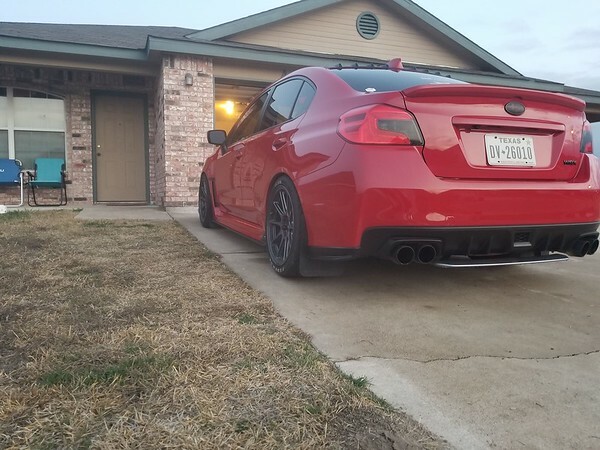 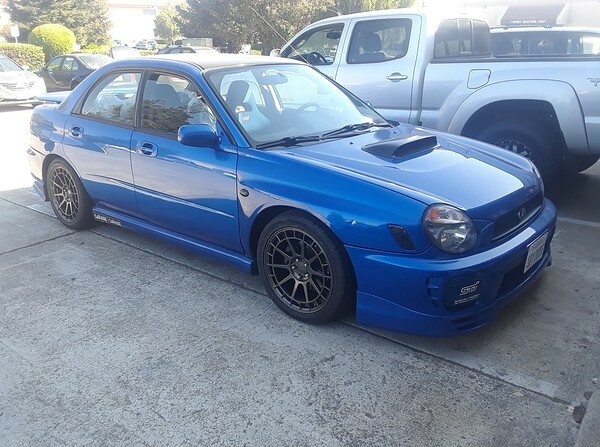 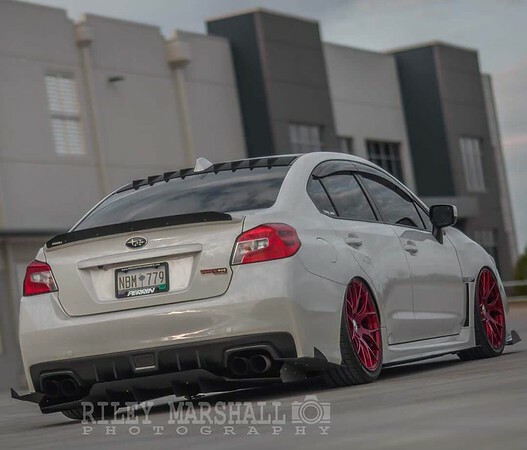 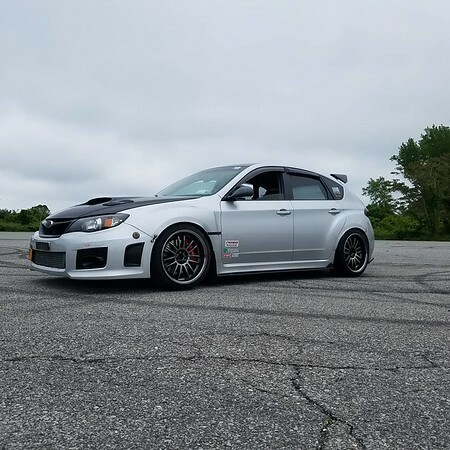 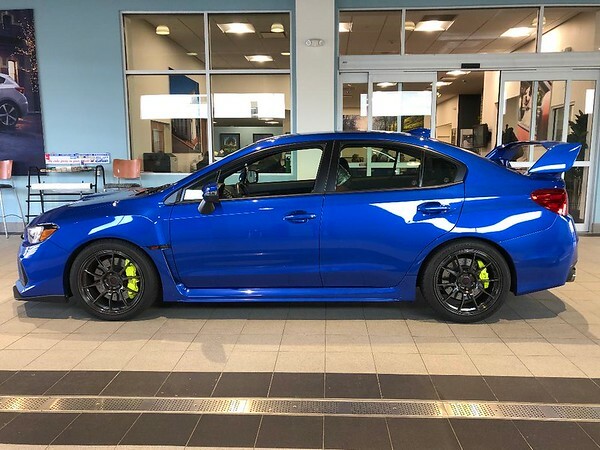 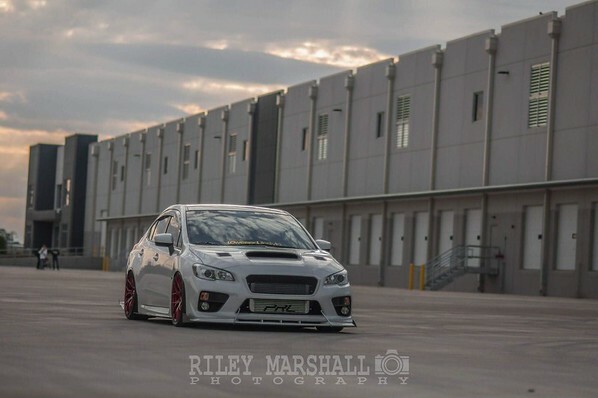 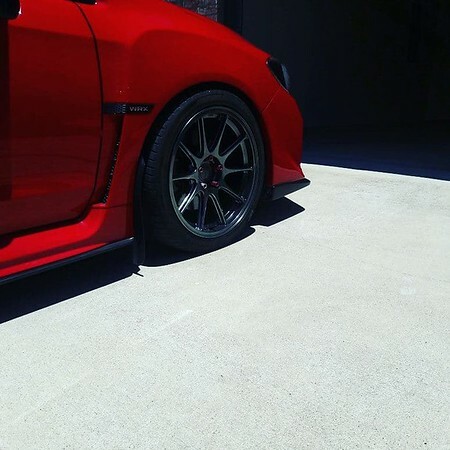 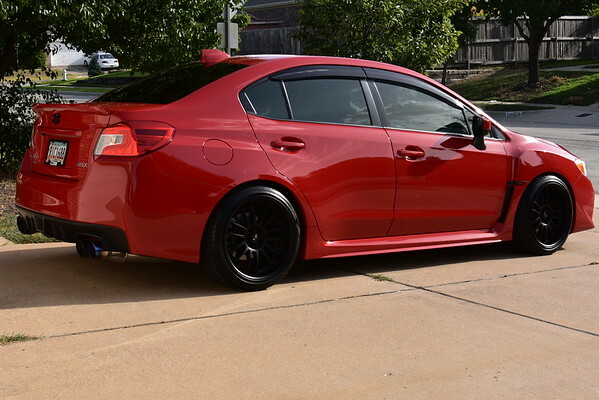 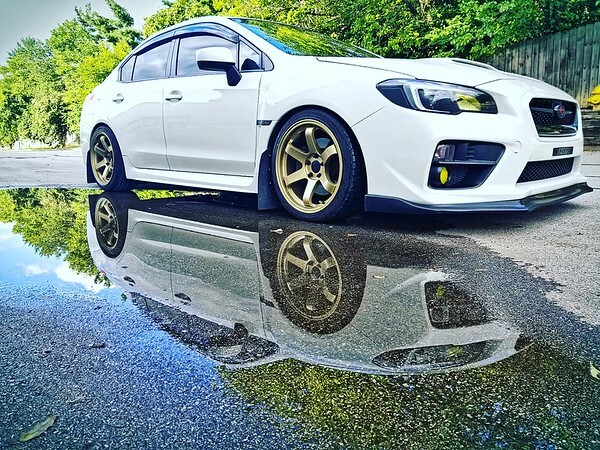 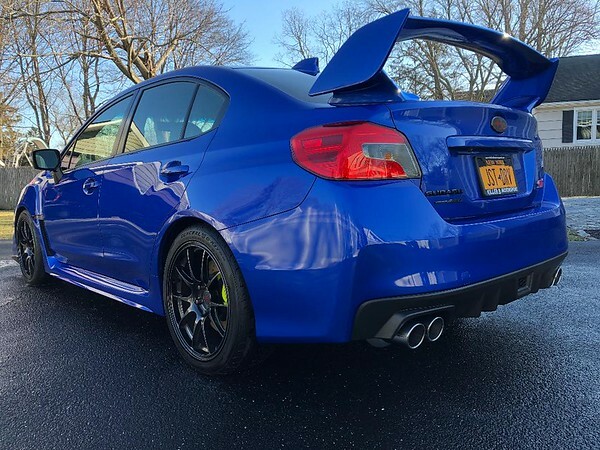 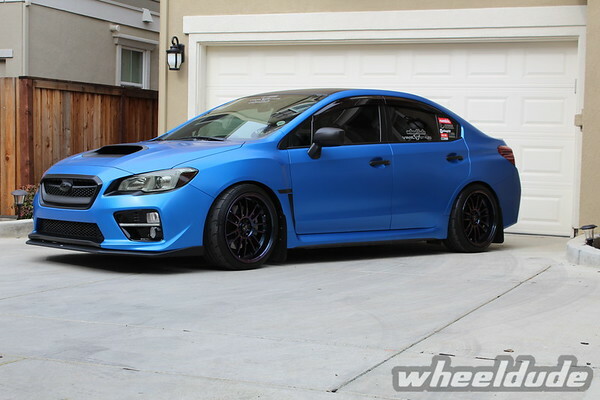 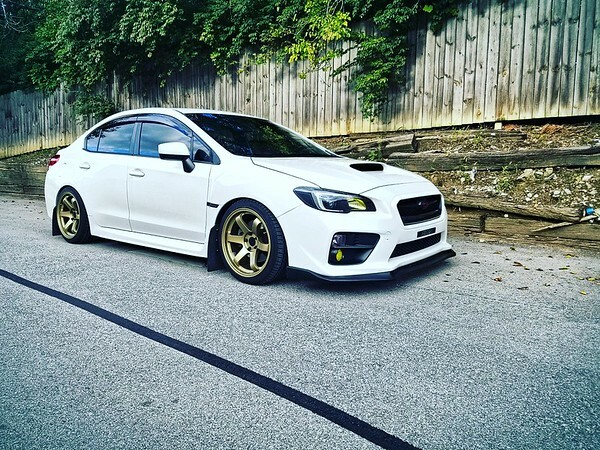 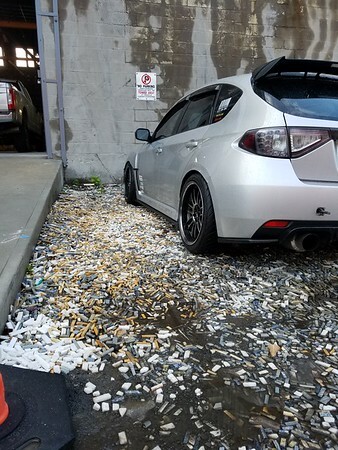 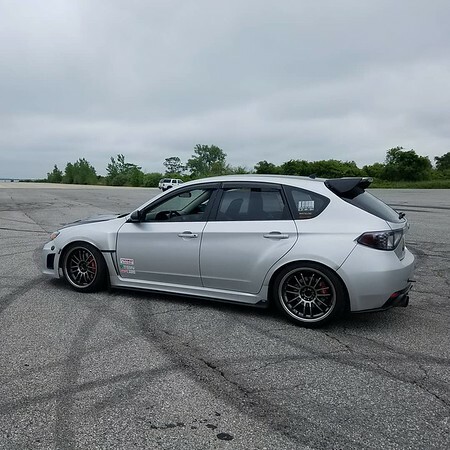 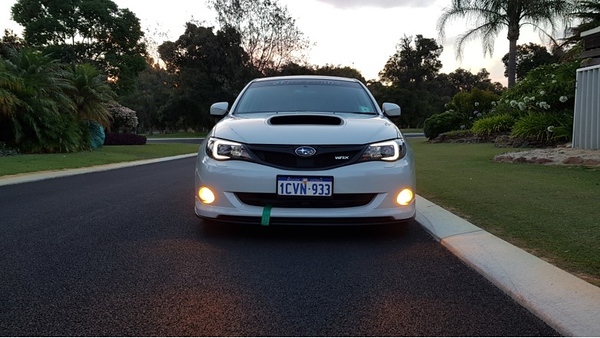 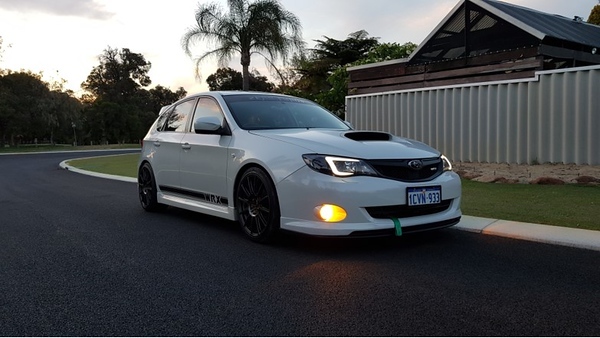 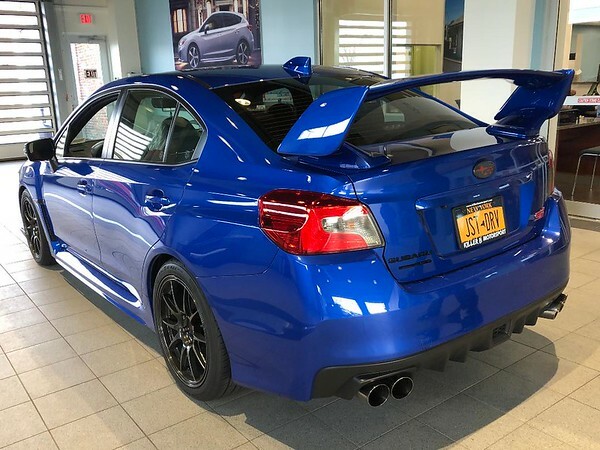 Exterior: Ultrex front lip, ‘WRX’ style front grille, STi hatch wing with a rear chrome delete, custom side decals, yellowed fogs, redout tails with smoked center sections and LED C-shaped headlights. 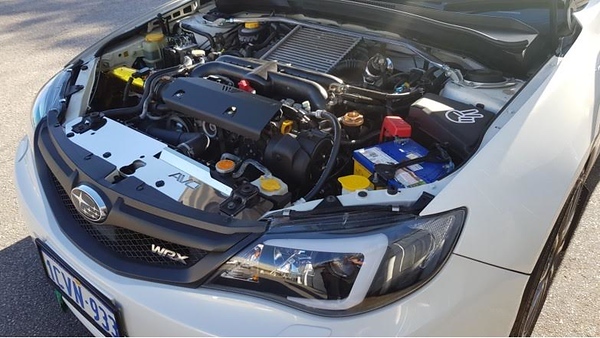 In the engine bay: When it comes to the motor is basic stage 2 bolt ons. 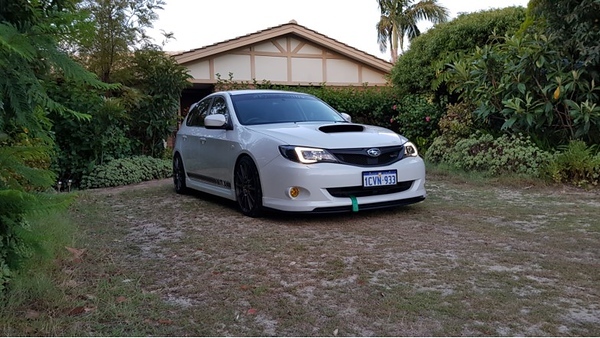 Hyperflow intake with a K&N pod filter, Ultrex catted downpipe mated with an Invidia Race catback which makes it basically as straight piped as is considered legal here in Australia. 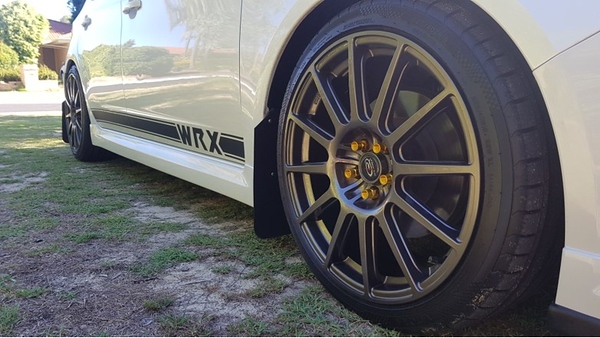 For cosmetics it has a Perrin brake reservoir cozy, Killer B Motorsports pulley cover, an AVO radiator cover and a Beatrush oil cap.